If you're marketing a software, hardware, or technological solution, it is important to contact the people who make IT-related decisions. Pull this extensive email database of CTOs and CIOs, and start emailing, calling, mailing, and networking with the real decision-makers! Chief information officers (CIOs), who are sometimes referred to as chief technology officers (CTOs), are the top IT decision-makers at most companies. As the highest-ranking C-level executives for technological growth, they are a hardware or software company's point of contact. 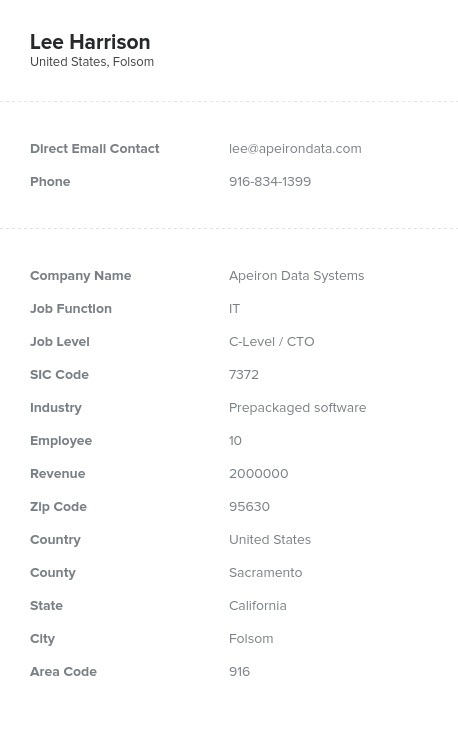 To get an extensive contact list of CTOs and CIOs at companies and institutions, purchase our verified, premium data product now. This CIO mailing list is useful in several capacities. For example, if you are hoping to make B2B sales regarding a new software product, server, mobile device, hardware product, technological system, or service, marketing directly to these sales leads may be very effective. If you are simply hoping to network with other major names in the technology industry, this would be a great list as well. As a whole, Bookyourdata.com's reliable email list of CIOs can help a business build better relationships with those in the technology and corporate world. If you want to customize your own unique list that can help you find more leads, use our custom list-builder tool. However, if you want a ready-made, actionable list of those with the specific job title of CIO or CTO, buy this product now! Email leads with the power to make changes and make more sales with our ready-to-use CIO mailing list!